About the Book: When two highly talented writers team up to write a novel, magical universes appear. 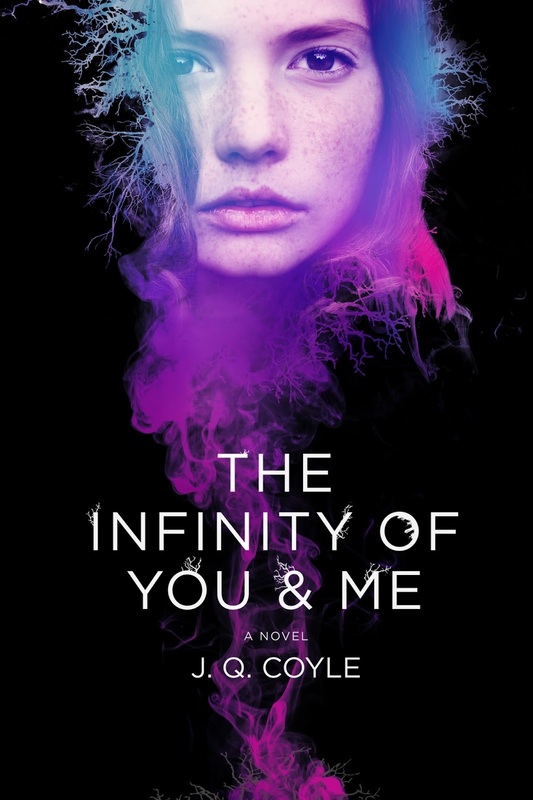 THE INFINITY OF YOU & ME (St.Martin’s Press; November 8, 2016) is no exception: written under the pen name J.Q. Coyle—composed of publishing veterans Julianna Baggott and Quinn Dalton. Baggott’s YA novels have been highly praised, including a People’s Pick, and her adult novels include several New York Times Notables, while Dalton is an acclaimed writer with four novels and story collections under her belt. 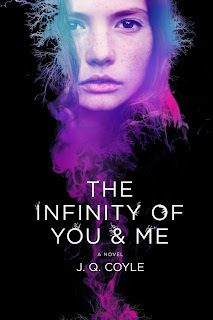 In the tradition of Baggott’s Pure trilogy, THE INFINITY OF YOU AND ME grounds a “multiverse” adventure in the very real world. Fast-paced with a tightly spun plot, this young adult novel will enthrall even the most reluctant readers. Almost fifteen, Alicia is smart and funny with a deep connection to the poet Sylvia Plath, but she’s ultimately failing at life. With a laundry list of diagnoses, she hallucinates different worlds—strange, decaying, otherworldly yet undeniably real worlds that are completely unlike her own with her single mom and one true friend. In one particularly vivid hallucination, Alicia is drawn to a boy her own age named Jax who’s trapped in a dying universe. Days later, her long-lost father shows up at her birthday party, telling her that the hallucinations aren’t hallucinations, but real worlds; she and Jax are bound by a strange past and intertwining present. This leads her on a journey to find out who she is, while trying to save the people and worlds she loves. This novel explores the ideas of choice and destiny. Baggott says, “We created a concept that explains that feeling of being haunted by the path you didn’t take, a concept that explores some natural human emotions like regret, nostalgia, a grief for the life unlived.” This concept influences the world-building within the novel, making it complex yet thoughtful. sneakers. Once or twice, a dress. back over my shoulder, trying to see if anyone else is moving against the crowd like I am. A woman falls. I reach down and help her up. Her head is gashed, her face smeared with blood. She nods a thank you and keeps marching against the current, soaked. And then my father appears up ahead—shaggy, unshaven, his knuckles bloody. I love seeing him in these hallucinations. (That’s what my therapist calls them.) It’s the only time I ever see him. I even love seeing him when he looks like hell, and older than I remember him, more worn-down. But he always has this energy— like his strength is coiled and tensed. My father pulls me and the boy into a tight circular stairwell, the water whirling around us, chest deep. As he lifts the little boy high up the stairs, I glimpse the edge of a tattoo and skin rough with small dark scars and fresh nicks on his wrists. “Keep climbing!” he says to the little boy. “We can’t jump,” I say. Off the ship? I’ve never trusted my father, never had the chance. After he left, he wasn’t allowed within five hundred feet of me or my mother. “What the hell am I doing here?” I ask.